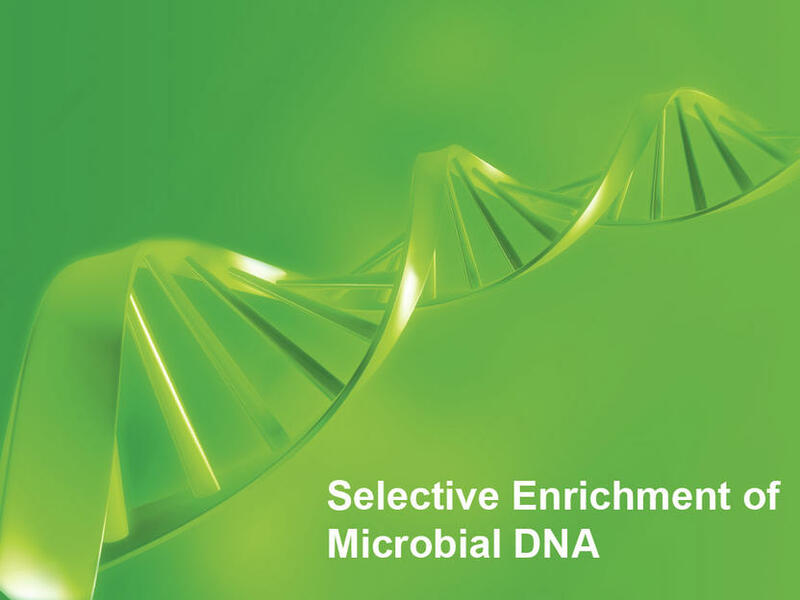 Host DNA negatively influences the sensitivity and specificity of molecular analysis of microorganisms in human and animal samples. The groundbreaking MolYsis technology provides a solution for the removal of non-target host DNA and enrichment of intact microorganisms. Applications comprise next generation sequencing, amplicon cloning, real-time PCR, Sanger sequencing and DNA array analysis of microorganisms. Protocols are available that allow the MolYsis pre-treatment of 0.2-10ml samples followed by microbial DNA extraction and purification. 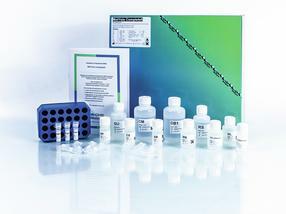 The MolYsis Complete kits include the entire process of MolYsis pre-treatment and microbial DNA purification. 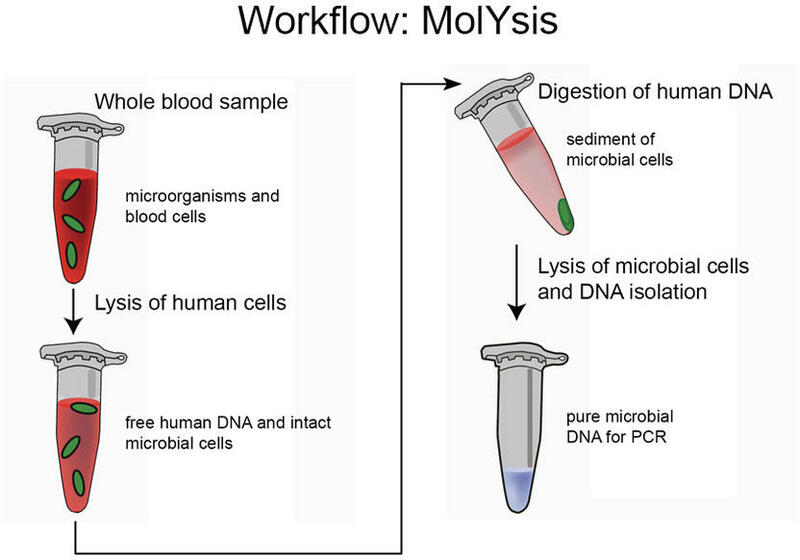 The MolYsis Basic kits include the removal of host DNA and enrichment of microbial DNA and can be combined with any other commercial DNA purification kit. A great variety of liquid samples can be processed, among them whole blood, CSF, BAL, synovial fluid, pleural fluid, urine and others. Tissue biopsies and other materials as well as liquid samples can be extracted using the Ultra-Deep Microbiome Prep kits. A walk-away automated version of the MolYsis technology, MolYsis-SelectNA plus, is available as well. 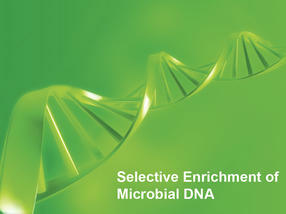 All kit components are guaranteed free of contaminating microbial DNA. 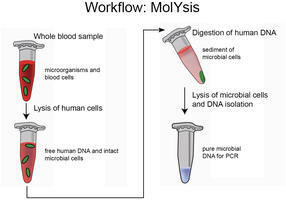 The MolYsis technology includes a process by which non-target DNA is liberated from the host cells by a selective lysis of human or animal cells. In the following extraction steps, the host DNA is digested by a DNase treatment, a reagent lyses a broad variety of Gram-positive and Gram-negative bacteria and fungi. Further, PCR inhibitors are removed, finally providing pure, enriched microbial DNA. MolYsis has been validated with more than 200 genera of bacteria (86 Gram-positives, 120 Gram-negatives) and 65 genera of fungi from the clinical routine. 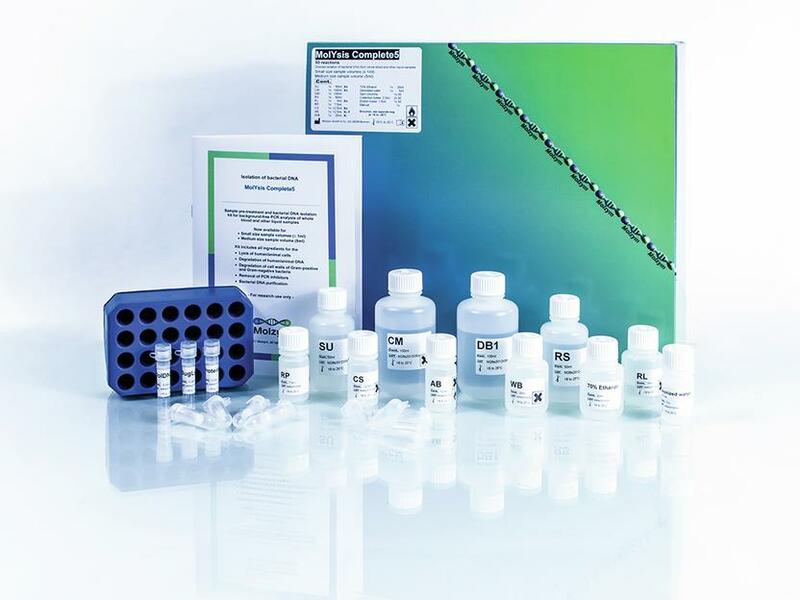 Optimal detection of microbial DNA in clinical specimens is achieved by the combination of MolYsis extraction with Molzym‘s highly active, DNA-free MolTaq 16S/18S polymerase or with the ready-to-use DNA-free Mastermix products.